Jennifer Herzog, member of the organization Ithaca Descendants of Holocaust Survivors, talks about the upcoming event, "Considering our Artifacts: Keeping Their Stories Alive". 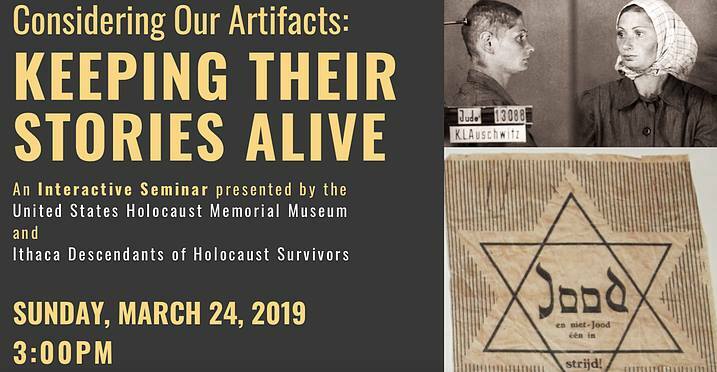 At this event, Judith Cohen, Chief acquisitions curator at the US Memorial Holocaust Museum in Washington DC, will talk about her museum's archives and about how artifacts are cared for and exhibited. This interview initially aired on March 19th, 2019.